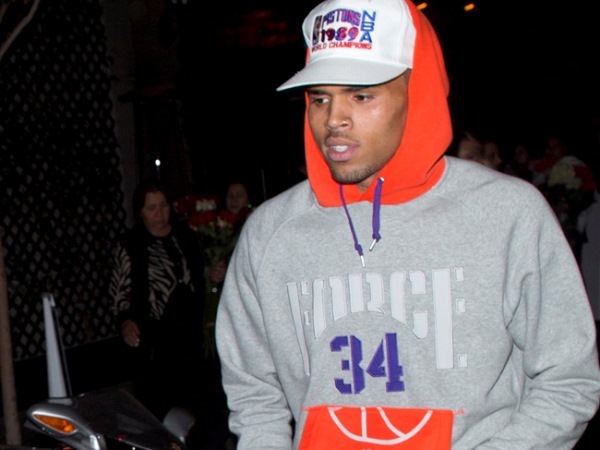 Chris Brown is to remain in rehab rather than go to jail, a judge ruled today (03.02.14). Chris Brown is to remain in rehab, a judge ruled today. The Fine China singer is currently completing a 90-day court ordered stint in rehabilitation for anger management issues, and appeared at Los Angeles Superior Court for a hearing over an alleged assault in Washington D.C. last October. Prosecutors asked for Chris to be taken to jail, claiming his "violent behaviour continues to increase in severity and frequency" adding they believe he poses "an increasing danger to society". The District Attorney added they have reviewed the Washington case and say there is cause to believe Chris is guilty as charged, which would lead to jail time if he were convicted. However, judge James Brandlin ruled Chris is making progress where he is and should remain there. Chris (24) has been on probation since his 2009 assault of then-girlfriend Rihanna, which was revoked last December following the fight in Washington D.C.
A probation report obtained by CNN at that time showed he had an anger management problem and drug abuse issues. A report from Chris' probation officer was also given to the court in December, which said he was making positive progress. It read: "The clinical and medical team have witnessed very positive change in Mr Brown since his psychotropic medications have been changed and he has been taken off medical marijuana. His ability to emotionally regulate himself has improved markedly."